Moving is a major step in anyone’s life, and it takes a lot of consideration before you choose the perfect home. In addition to finding something that fits in your budget, and is located in the right place, you need to be sure that you’ll be comfortable there. The amenities can make all the difference between enjoying your after-work hours, or dreading another night spent in what feels like a lifeless box. In order to find the best home without having to put in hours of travel and phone calls, many apartment hunters turn to websites that list rentals. The biggest reason to use an apartment finder is for convenience. Before the Internet became the go-to method for listing available spaces, potential renters were stuck combing through newspapers from the city they were moving to, or taking up time driving around their new city, speaking to apartment managers and trying to juggle facts for comparison with a dozen other places they’d visited that day. The Internet made it much easier for renters to search any time it’s convenient for them. You can quickly compare prices, amenities, and locations with no more than a few clicks, and it’s likely that you’ll find listings you never would have been exposed to otherwise. One of the major points to look for when choosing the right apartment finder is the search function. Some renters may prefer to simply search by location, just to see what comes up. If you have no idea what you want, this could be a good way to start getting a view of what’s out there. However, most renters have a specific budget to stick to, a bedroom requirement to fit their family’s needs, and a list of amenities that they’d really prefer to not live without. If you’re part of this second group, you need a website that has a great search function. Sites like ApartmentFinder.com have far more search options to help you narrow the field, as opposed to sites such as Apartments.com, where the search options are much more limited. There are several other features that should be considered when choosing the right apartment finder. For example, do you want to trust that the information in every listing is as up-to-date as possible? Apartments.com verifies all listings every month so you can count on what you’re seeing. Do you want to hear from people who have actually lived in the apartments, rather than the property owners? ApartmentRatings.com is a place where users can leave reviews on places they’ve lived, and even upload pictures that can show things the property managers may have tried to downplay in their listings. Some websites include details about the surrounding areas to help you make an informed decision about which neighborhood would be the best fit for you, while others focus only on the listing. Most apartment finders can be browsed for free, or with a free account. Property owners generally have to pay to either list, or to have a Verified account to interact with users. It’s important to check out the benefits that come with an account; you may have access to far more search options or listing information simply by signing up for a free account. 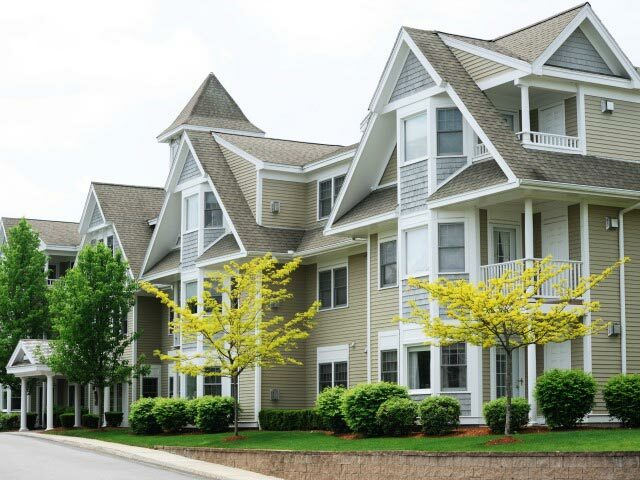 Choosing the right apartment finder is a great step towards making sure that your next home is the best yet. The biggest thing to watch for is a website with a great search feature that can help you narrow the field to your dream home; but other websites can help you gather information for comparison, or do a little bit of window shopping while you compile the list of “must have” amenities.